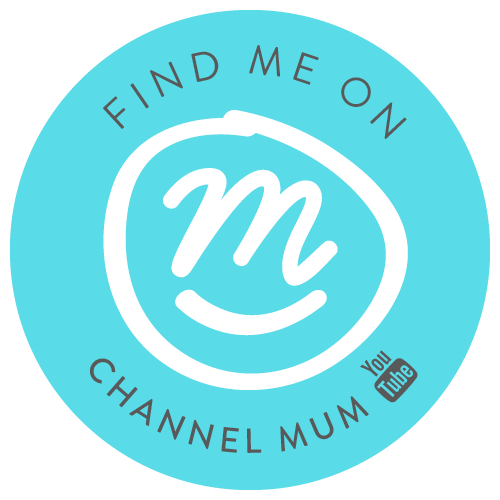 Over the last ten years I've been a part-time and full-time working mum, a SAHM and now I work from home. It's fair to say, none of those combinations is easy and there are plenty of pros and cons to both. When I was going out to work every day and my husband did the school drop-offs and pick ups, I spent a lot of time feeling guilty that I was out of the house so much and cursing my husband for making so much bloody mess when he cooked the kids their tea! Seriously, how does someone manage to use every pan and plate to make pasta pesto!? Staying home has a whole other set of 'mum-guilt' issues. Not only from a financial perspective but, when I'm working from home, it can be difficult to switch off. I'm making a conscious effort lately to try and stay off my phone and laptop when the kids get home from school, so I can give them my full attention. 1. Get dressed and hustle. If my husband is taking the kids to school on his way to work, it can be tempting to stay in my PJs a little bit longer and sit on the bed with my laptop. No! It's never a good idea. I get dressed, make the bed, put my face on and tidy the kitchen; even if I don't need to leave the house for hours, it just helps me to start the day on the right foot. 2. Fresh air. Even if it's only for 20 mins, a bit of fresh air does wonders. When I was working in an office I'd always look forward to my lunchtime walk to grab a sandwich. It clears my head and helps me to be more productive in the afternoon. 3. Snack healthy. Working at home means full access to the kids' stash of leftover halloween sweets. It's a bad idea. I try to stick to healthy options and snack little and often, to avoid those annoying mid-afternoon slumps, where Netflix and a hot chocolate might be too hard a temptation to resist! 4. Lists, lists, lists. If I don't make lists, I'm a nightmare. I forget things, feel overwhelmed and struggle to focus. Writing everything down helps me to structure my time and get stuff done. 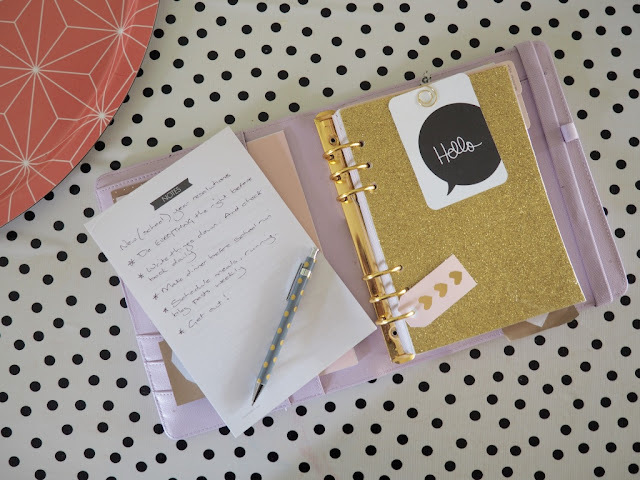 And who doesn't like ticking things off a to-do list? I've also been pinning plenty of organisational tips to keep my office area as functional, but still stylish as possible. 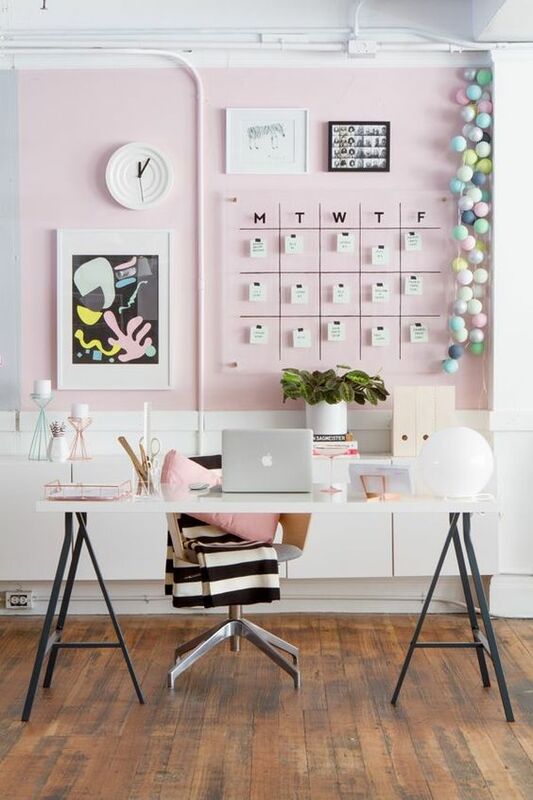 This pink wall and desk set-up is the home office space of my dreams! What are your tips for working at home? Do you have an office space and, if so, how do you like to organise it? I'd love to know.